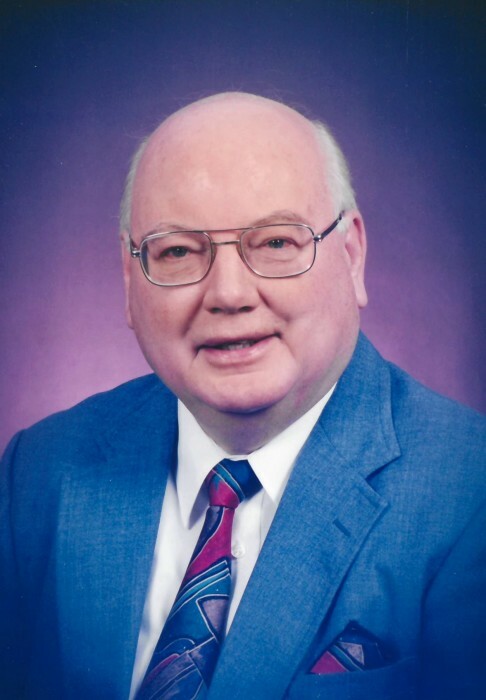 CUYAHOGA FALLS – James “Jim” Skidmore, 90, passed away peacefully surrounded by family on January 18, 2019 after a period of declining health. He was born in Reedy, WV on September 7, 1928. Jim graduated from Cuyahoga Falls High School in 1946 and worked in the wholesale lumber business for most of his career. Next to taking care of his family, he loved 1940’s swing and Dixieland music. He was a rhythm guitarist for The Akron Big Band for 30+ years, retiring in the summer of 2018 for health reasons. He played banjo with various area Dixieland groups over the years. Jim also enjoyed playing golf and was an avid fan of the Cleveland Indians. Jim was preceded in death by his parents, Oren and Vesta; brother, Dean; and son, John E.; he is survived by his wife of 70 years, Ruth; daughter, Linda (Chuck) Mapus; brother, William, 3 step-grandchildren, 4 step-greatgrandchildren, and several nieces and nephews. Friends may call 2 hours prior to a 12-noon funeral service on Wednesday January 23, 2019 at the Clifford-Shoemaker Funeral Home 1930 Front St. Cuyahoga Falls, OH 44221. Interment will be at Oakwood Cemetery. In lieu of other remembrances memorials may be made to the United Presbyterian Church 2819 Hudson Dr. Cuyahoga Falls, OH 44221 or a charity of your choice. Services entrusted to Clifford-Shoemaker Funeral Home and Crematory, 330-928-2147.